Each month, the culinary team at Michael’s On East challenges itself to create new dishes inspired by the world’s most exotic destinations. This September, Executive Chef Jamil Pineda and Pastry Chef Catherine Tighe are thrilled to present a “domestic” Epicurean Adventure. While Michael's monthly featured menus are often inspired by the world’s most exotic destinations, this month you are invited to venture to one of the most delicious states in the USA. Take a culinary journey to Napa Valley in California, from the comfort of your favorite table at Michael’s On East! The Michael’s On East three-course Napa Valley Epicurean Adventure dinner menu is available Monday through Saturday evenings for $34.95 per person, September 1-30, 2016. The two-course lunch offering features a choice of entrée and dessert for $15 per person and is available Monday through Friday, 11:30 a.m. to 2 p.m. If California wines are more your style, Michael's is happy to offer the Uppercut Sauvignon Blanc from California's North Coast and the Grayson Cellars Cabernet Sauvignon from St. Helena to accompany the Napa Valley Epicurean Adventure lunch and dinner menus. These hand-selected pairings are available for $5 each. Michael also invites you to taste more than a dozen wines from California at the September Open House Wine Tasting at Michael's Wine Cellar, 2-4 p.m. on Saturday, September 10, 2016. Admission is $10 per person. Click here to make online reservations for this month's Open House Wine Tasting, or simply join us at the door! Call 941-366-0007 or visit www.bestfood.com for all current menus and restaurant reservations for Michael's On East. Please join us for a special Napa Valley wine dinner hosted by special guests from The Hess Collection and Rombauer Vineyards this January! Napa Valley Wine Dinner Featuring The Hess Collection & Rombauer Vineyards Hosted by Kate Ayres, Associate Winemaker, The Hess Collection & Luke Clayton, Winemaker, Rombauer Vineyards Saturday, January 30, 2016 7 p.m. at Michael's Wine Cellar Admission is $95 per person, plus tax and gratuity, and reservations are required as seating is limited. Click here to make reservations online or call 941-366-0007, ext. 229. 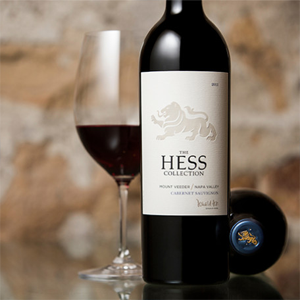 The Hess Collection Hess Family Wine Estates is recognized as one of the premier family-owned companies in the world of wine. Each of the family’s wineries – in California, Argentina, and South Africa – produce highly acclaimed wines that stand alongside the very best. The portfolio includes The Hess Collection, Hess Select, Bodega Colomé and Amalaya. Donald Hess established his first Mount Veeder vineyard in 1978, recognizing from the beginning that on these ridges and benchlands, the potential for great wine growing was clear. A deep, rocky mix of ancient seabed and volcanic soils provides a home for vineyard blocks producing small, concentrated fruit that reflects the challenges, and rewards, of farming at higher altitudes in the coolest mountain growing region in Napa. Wine, Elevated. Today, The Hess Collection focuses on producing exceptional wines from Bordeaux and Chardonnay varieties, farming estate vineyards on Mount Veeder, at the Allomi vineyard in Pope Valley and at the Su’skol vineyard in American Canyon, near San Pablo Bay. The Hess Collection winery continued this pioneering spirit, combining a quest to reach ever higher levels of quality and excellence with an abiding respect for the land, and for Napa history. The Hess Collection winery is a historic site where wine was first produced in the 1860’s, anchored in a native stone building hewn by masons in 1903. After an extensive renovation and restoration, the winery first opening in mid-1989, joined by The Hess Art Collection, displaying world-renowned selections from Donald Hess’s personal contemporary art collection in a beautiful 13,000 sq ft museum. The first vintage release for The Hess Collection was the 1983 Mount Veeder Cabernet Sauvignon, and over the next 30 years and counting Hess wines have received wide acclaim, ranking among the Top 100 wines in various Wine Spectator and Wine Enthusiast polls, and as among America’s Most Popular Restaurant Wines in the annual Wine & Spirits Restaurant poll. The Hess 2012 releases mark the winery’s 30th vintage anniversary. The Hess Collection was among the first California wineries to demonstrate, define and certify sustainable practices in both vineyard and winery operations, a long Hess family tradition reflected in the direction Donald Hess first gave in 1978, “Nurture the land, and return what you take.” The Hess Collection is certified under Napa Green for both land and winery standards, and is also certified as part of the California Sustainable Winegrowing Alliance. Visitors to the winery home on Mount Veeder find an elevated experience combining wine, art, culinary and historical explorations, now led by the fifth generation of the Hess family. 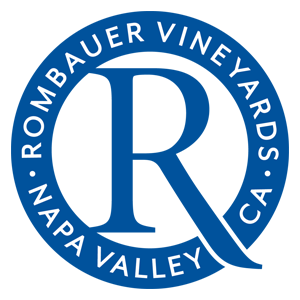 Rombauer Vineyards Rombauer Vineyards was established in 1980, when the Rombauer family harvested their rst grapes — Cabernet Sauvignon from Napa Valley’s Stags Leap District. Nearly 35 years later, the winery remains family owned and operated with members of the first and second generations involved in the business. When founders Koerner and Joan Rombauer moved their two children, two horses and ve dogs to Napa Valley in 1972, they had no intention of starting a winery. They chose the area because it reminded them of the small-town, agricultural environment in which they had grown up, and it appeared to be a clean, safe place to raise their children. They purchased 40 acres of beautiful hilltop land on the Silverado Trail near the town of St. Helena. The Rombauers did have a great appreciation for the role of wine in the ne dining experience. Koerner’s great aunt Irma Rombauer was the author of the internationally renowned cookbook the Joy of Cooking, and Koerner’s ancestors were from the winegrowing region of Rheingau, Germany, where wine is considered an essential complement to a meal. It didn’t take long for Koerner and Joan to become fascinated with the growing Napa Valley wine industry. In 1976, the same year as the famed Judgment of Paris, they became partners in Conn Creek Winery. There, Koerner learned the wine business rst in the cellar, working hand in hand with the winemaker and learning all phases of winery operations. In 1980, the Rombauers sold their interest in Conn Creek Winery and decided to invest of a winery of their own. That year, they harvested their rst grapes, marking the beginning of Rombauer Vineyards. The first wines were produced at Shafer Vineyards and in Koerner’s garage, which was bonded as a winery for the purpose. In 1982, the Rombauer family broke ground for construction of a winery on the property adjacent to their home. Today, under the direction of Director of Winemaking and Viticulture Richie Allen, Rombauer Vineyards combines traditional viticultural and winemaking practices with the best available technology to ensure the highest quality wine production. 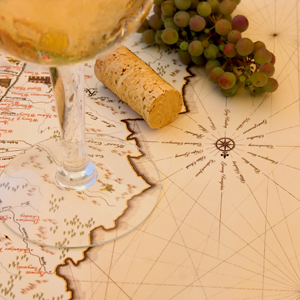 The winery produces critically acclaimed Chardonnay, Cabernet Sauvignon, Merlot, Zinfandel and Sauvignon Blanc. We are thrilled to host multiple winemaker events at Michael's Wine Cellar, Michael's On East and the Michael's On East Ballroom in January 2016 as part of the annual Forks & Corks Food & Wine Festival produced by the Sarasota-Manatee Originals. Click here for more information about other special wine events. Cameron Fisher of Fisher Vineyards will host a special walk-about tasting at Michael's Wine Cellar, 6-8 p.m. on Wednesday, February 19, 2014. Admission includes hors d'oeuvres and tastes of all featured Fisher Vineyards wines. $35/person Reservations are required and space is limited. Click here for online reservations or call 941-366-0007, ext. 229. Founded in 1973 by Fred and Juelle Fisher, Fisher Vineyards grows and produces wines from both its Napa Valley Estate and Spring Mountain Estate (Sonoma County). Today, Fred and Juelle's three children, Whitney, Robert and Cameron, have joined Fisher Vineyards and are leading the way to a second generation of fine wines. The Fisher Vineyards Mission: To grow and produce wines of consistent, world-class quality that express their unique mountain or valley heritage in the truest sense of terroir; the resulting wines should pay tribute to the land we are fortunate to care for, as well as each member of our team, which together will yield a classic balance and style that transcend time. "We are small in size but great in scope with both mountain and valley estate vineyards. Our wines reflect the great care we have given these vineyards; those who drink the wines and those who write about the wines, sing their praise, and we are grateful." - Fred J. Fisher, Proprietor Cameron is the youngest and final member of the family to join Fisher Vineyards. After graduating from Colby College with a BA in English, Cameron moved to San Francisco where she worked for Outside Magazine. It wasn't long, however, before the wine industry called her name. In the spring of 2006, she moved north to St. Helena where she began working for Duckhorn Wine Company. One year later, Cameron joined the team at Fisher Vineyards where she works in sales and marketing. Cameron has been pursuing her wine studies through the Court of Master Sommeliers and recently passed the Certified Sommelier exam!